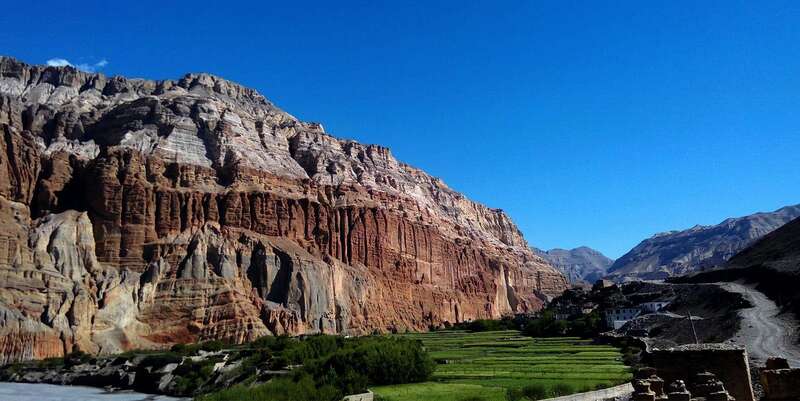 Upper Mustang trek is the confined northern piece of Mustang region. It is the trek of the shrouded kingdom and lies in the rain-shadow area. It gives us a chance to explore one of a kind nearby way of life. For example, polygamy is as yet boundless here. 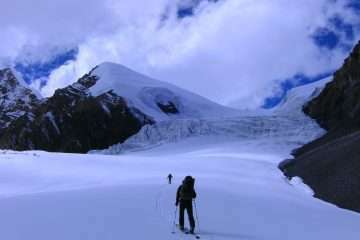 It is the most famous trekking among all outdoors treks of Nepal. It may be the last remnants of flawless Tibetan culture. Upper Mustang trekking is restricted areas of Mustang, which opened for foreigner since 1992. Upper Mustang trek resembles a fortune chase since you went to the puzzling sports and outfitted. With a rich experience of remoteness in the mysterious Upper Mustang. However, it is a fitting objective for adventure trekkers searching for additional insights. It is likewise known pristine trekking because there is constrained section to nonnative’s even today. Upper Mustang trek is presumably the most mystify and least known kingdoms an existence relatively unaffected for quite a long time. The Upper Mustang trek considers as a moderate that has its difficulties in specific regions. It is likewise an extraordinary opportunity to closely investigate life-styles, which gives one of a kind feeling to untouchables. Upper Mustang trekking is lying in the rain shadow of the Himalayas. The best time for Upper Mustang trek is Spring (March-May), Summer (June – August) and Autumn (September – November). It is maybe the last enclave of un-spoilt Tibetan culture. 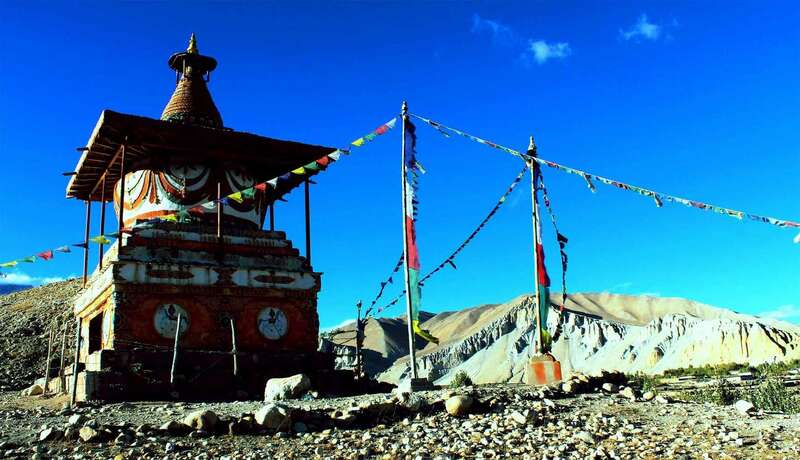 The trek begins from Kathmandu once you arrive and completes within 17 days for the whole upper Mustang trekking. This is a picturesque drive to Pokhara from Kathmandu traversing through several beautiful villages, forests, rivers and as well as mountain scenery. Finally, get to Pokhara in the afternoon. The trail goes through the east bank of Kali Gandaki River after checking all formality in Kagbeni. There are several climbs over many ridges. We have wonderful mountain scenery and walk along the sandy and windy trails. Many ups and downs lead you through the small villages with narrow way among the white painted houses; cultivated land and once crossing over the Kali Gandaki River that head to Small ridges get Chele. Day 6: Chele – Gelling (3806 m) 6h00 walk. The trail goes gradually ascend through barren land, picturesque mountain scenery to a pass then making long descend passing by some chhortens, on the ridge. 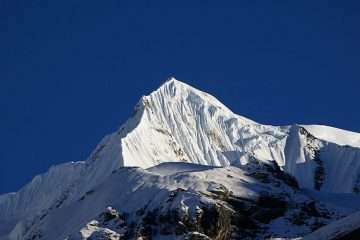 Then further pretty descend to Samar village where you can see the stunning scenery of Annapurna and Nilgiri. The trail goes into a gorge and crosses a stream takes another valley. 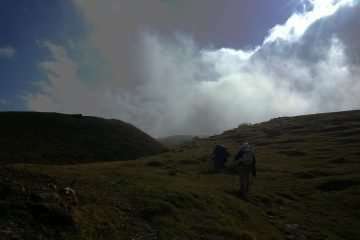 Then ascends to a hill (3,800 m) taking on ridges and pretty descend to Gelling. Start the trek after the breakfast, the trail leads a pretty interesting pass Nyi – La and longer descends beneath colorful cliffs through the valley and across a stream then head on another pass at 3,600 m and long downhill to Tsarang. As usual as other days, the trail goes little descend and cross a bridge ascends steeply with a rocky trail to get a ridge and further continue climbs to reach region of Lo, King Ame Pal established a kingdom in the 1380s, with wall city of Lomanthang as the capital and the people of this area called Lobas. Finally a short descend and cross a stream then climb up to enter the plateau of Lomanthang. There are several places to explore. Visit monasteries with own features The Namgyal Gompa located on the top of the hill. 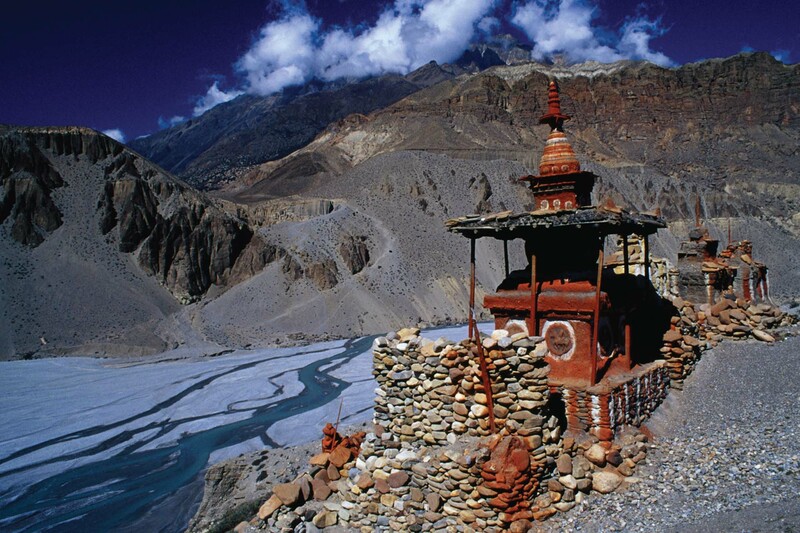 A local court considers it and continue a visit to Tinkhar, the last village of upper Mustang. Day 10: Exploration day at Lo – mang thang. You may have a chance to visit Tall Champa Lakhang “Place of God” the red Thuchen Gumpa, Chyodi Gimap, and the Entrance hall. These are a major visitable spot in this city. The royal palace is another attraction in the town. Day 11: Lo – Mangthang – Ghami (3,520 m) 6h00 walk. The climax of the trek has been finished descend back through some villages ancient monasteries and offering the last glimpse of Lomangthang and walk down to Ghami. This is the same route we take while heading to Lomangthang by passing Nyi-La and descend to Samar with beautiful scenery of Annapurna range. Trek to Kagbeni is easy to walk passing through narrow path among white painted houses, cultivated fields and beautiful scenery of Annapurna and Nilgiri are in front. Finally, get to Kagbeni. There is an opportunity to visit a monastery which beliefs to build in the 15th century. Day 14: Kagbeni – Jomsom (2800 m) 3h00 walk. Today is last day trek to Jomsom also easy walk along the bank of Kali Gandaki River. Jomsom is a busy place due to an administrative quarter of Mustang district. There is an opportunity to explore ancient Thakli tradition, culture flora and fauna in the Eco-cultural museum in Jomsom. Early morning get to prepare all the baggage flight to Pokhara by plane. The wonderful Himalayan scenery of giant Himalayas Annapurna and Dhaulagiri massif can see from the plane. You will transfer to the airport to fly Kathmandu by plane with magnificent views of mountains. Arriving in Kathmandu, you will be free all day. You will free all the day and may have a chance to visit once in the heritage site. Or this day can be occupied as security day in case of flight interruption due to weather. DEPARTURE TIME Please report at least 2 hours before the flight.